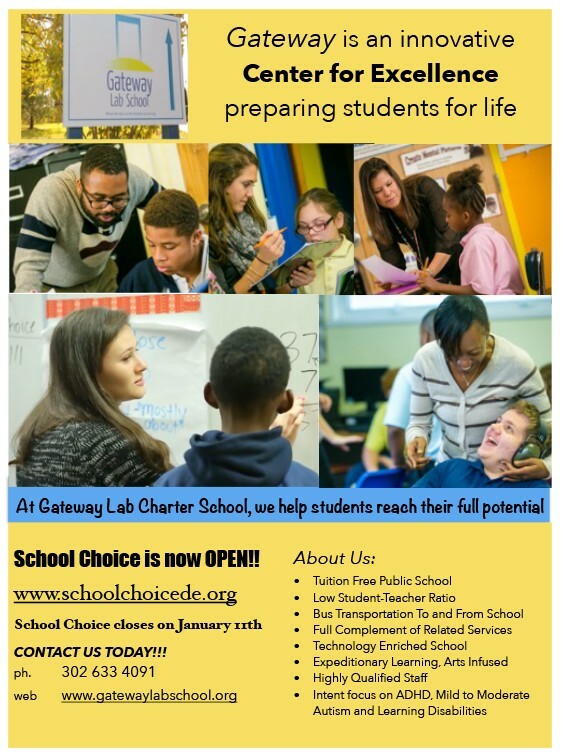 Gateway Lab Charter School is a state-approved, public charter school centrally located in New Castle County. The school’s unique design allows students with a variety of disabilities to find their path to a successful education. That path to success was exactly what Leslie Mitchell, parent of Christian who is a 7th grade student at Gateway, was looking for. We asked Leslie why Gateway? “My son is a very intelligent and determined pre-teen who began falling behind due to various reasons. 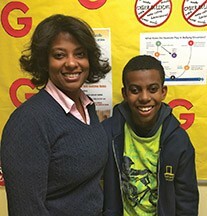 Christian is considered legally blind and has a condition that affects his balance and coordination.” Gateway works very hard to support students and their families in the learning process. “As a single parent, I continuously worked with Christian to keep pace. The stress to keep pace physically, emotionally and mentally became taxing. My son felt different and rejected,” said Leslie. Individualized planning and full wrap around services gave Leslie peace of mind that Christian could be successful. How has Gateway helped your family? “Gateway specializes in working with children who have IEP’s. They have been successful at synergizing my son’s abilities and programs to help him achieve higher standards while limiting unwanted stressors that can negatively impact his energy level. As my son requires one on one assistance, he has a trained designated paraprofessional educator who has built a great relationship with him and given our family great piece of mind knowing that he is receiving the proper support throughout his school day.” Leslie continued, “Christian feels more comfortable speaking up for himself and being his own advocate ensuring he is provided the tools he needs to be successful which allows him the opportunity to function independently or in a team setting. What would you say about the need for Gateway in Delaware? Many of the Delaware public schools are not equipped to meet certain needs of their student population nor have the funding to develop their programs or bring in talented resources to execute the proper accommodations for students to be successful. Should they continue to grow their school? “It’s critical to have Gateway expand”, says Leslie. What would be one piece of advice you would have for a parent looking at Gateway as an option for their child? Selecting a school is one of the most important decisions we as parents will make for our child as this will become like their second home since this is where much of their time will be spent. If you are considering Gateway, make a point to tour the school and attend a school event to gain firsthand experience as you connect with some of the families and learn of the strides their children are making at Gateway.